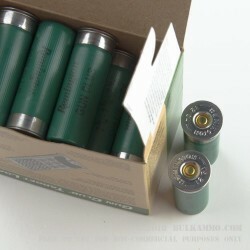 Grab this case of 250 12 gauge shotgun shells for an enjoyable afternoon breaking clays or shooting paper targets. 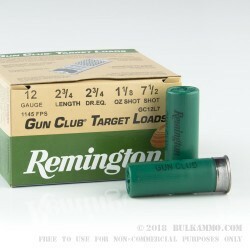 This inexpensive birdshot load from Remington fires 1 1/8 ounces of #7,5 shot at a moderate muzzle velocity of 1,145 feet per second, generating mild recoil that will keep your shoulder comfortable over a long session. 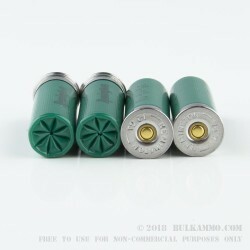 Remington shotgun ammunition is made in Arkansas and comes in multiple varieties for hunting, self-defense, and range/sporting use. Pick up this great deal from one of the most reputable shotgun and shotshell manufacturers in the world today!